is a collection of recordings taken over a five year period of various environments and sound events captured closeup to and through an array of functioning and discarded metal infrastructure and objects. My intention for this album is to highlight the unique ability that metal possesses in abstracting, transforming and reconfiguring a given landscape — propelling the listener to reconsider their emotional and psychological connections to familiar urban environments. As this releases title suggest it features purely field recordings made in & around metal objects. Over a five year period this Australian sound artists, field recordist, & designer visited various different places & environments around the world to capture the twelve tracks on offer here. I’d heard one other release by Mr Kay in the past, and that was 2013 Black Mountain debut Closing In, which saw him mixing environmental field recordings, found sounds/other field recordings, with drone to electro morphed abstracted instrumentation. But this is the first purely field recordings I’ve heard from Mr Kay, and I must say I was most impressed with the range, type, and replayability of the sounds he captured here - but also the atmospheric depth is most telling with many of the recordings too. All in all another very worthy release from 3leaves. According to Martin's own words, the intention of the artist on "All Things Metal" is the highlighting of "the unique ability that metal possesses in abstracting, transforming and reconfiguring a given landscape" as well as "propelling the listener to reconsider their emotional and psychological connections to familiar urban environments". The metallic diaphragm which often becomes a sort of proper filtering by re-rendering the perception of surrounding ordinary aural inputs come from a series of installations of different kinds of microphones (contact, omni-directional air and cardioid air ones) on metallic objects or places that Martin carefully describes in the cover booklet: for instance, two contact microphones that Martin placed on a street light in Sapporo Downtown can turn footsteps, advertisements from different speakers and the buzzing noise of internal electronis of the streetlight itself into a sort of alien transmission on "Street Light in Male Entertainment Distr." or the ones he placed on the protective railing of a stairwell ("Tokyo Crows") or beneath an iron gutter ("Rain On Iron Gutter") in Futako Tamagawa or the omni-directional microphones hanging inside an abandoned Soviet oil tank in Yerevan could convey unpredictable aural experiences which can skim over psychedelia. The above-mentioned ability of metals is so abstractly extrinsic and mind-blowing in many moments of the release coming from excellent Hungarian label 3Leaves that it could be considered a proper manifestation of a false-positively hidden hyperreality. 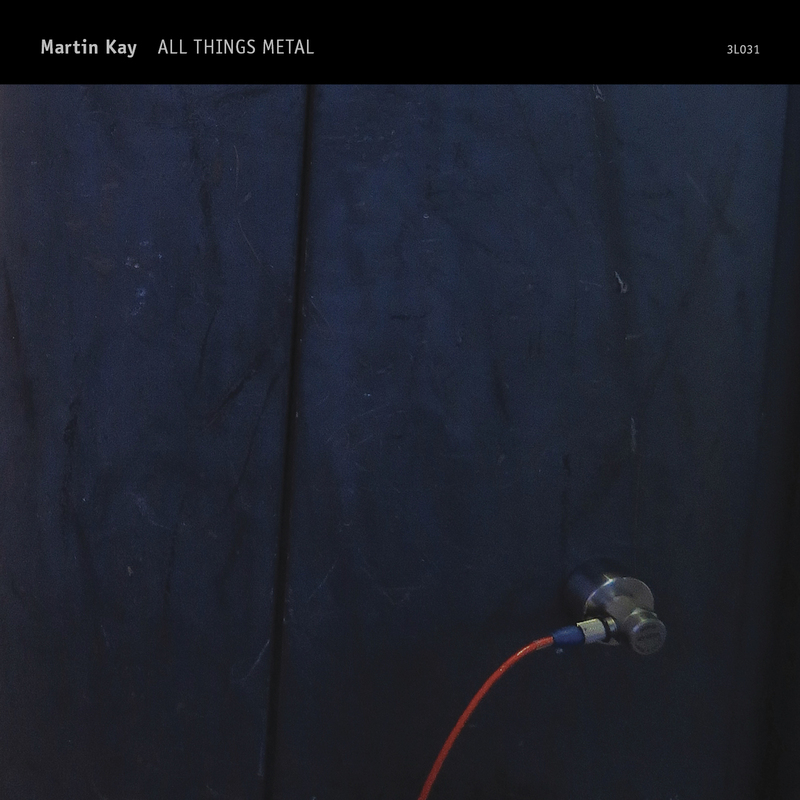 Australia-based sound artist Martin Kay's self-expressed intention for All Things Metal (200 copies) is to “highlight the unique ability that metal possesses in abstracting, transforming, and reconfiguring a given landscape—propelling the listener to reconsider their emotional and psychological connections to familiar urban environments.” The listener certainly comes away from the recording newly sensitized to how pervasive metal's presence is within our urban environments (the fact that the settings were recorded in different locales, among them Tokyo and Australia, implies a global pervasiveness, too). But more importantly, the fifty-minute recording, whose twelve pieces Kay produced over a five-year span, prompts us to reconsider how metal's sound properties can translate into listening experiences that allow us to experience physical phenomena with fresh ears; that he generally leaves the recorded audio-montages in an un-mixed and un-edited form only serves to heighten that impression. Kay, to cite one example, shows that source material as mundane as a metal wheel rolling along a concrete floor (“Dumbbell Rolling”) can turn into an engrossing vignette of spindly micro-noise.